Thank you to everyone who came out to the Crows Landing ProSolo! The event was well-attended, ran smoothly and, most importantly, was a ton of fun. Many SFR members walked away with awards and class wins; check the official SCCA results for a full list. The Fontana ProSolo is this weekend, and we’re looking forward to seeing SFR represent. For those interested in having #funwithcars on a racetrack, SCCA is launching a new Time Trials program this year. Its first stop? Our very own Thunderhill Raceway 2-mile track (aka: Thunderhill West), on April 13th and 14th. 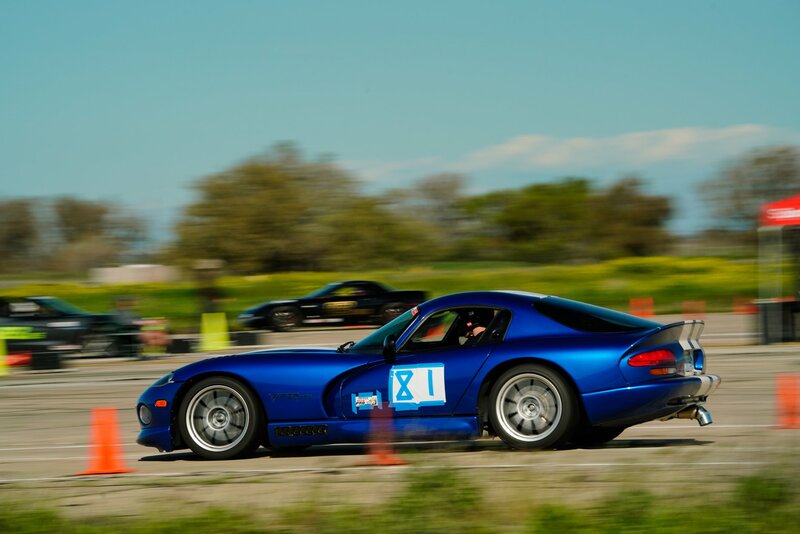 Drivers are grouped by experience level, and most autocross cars have a competitive place to play within the car preparation categories: Sport, Tuner, Max, and Unlimited. Everyone from brand-new drivers in new cars to seasoned veterans in built racecars are welcome! Many familiar West Coast autocrossers have already registered; Registration closes in one week, so don’t wait to sign up! There will be practice sessions for all and two timed competition sessions. SCCA is also doing something new, called “Tracksprint”: point-to-point sector timing on the track, from a standing start, in configurations not typically seen in normal track driving. Similar to an autocross, you will get three attempts at the Tracksprint for your best time. The fun doesn’t stop once on-track sessions are done! There will be welcome parties with food and beverages Friday and Saturday night; breakfast and lunch will be available during the day. Camping is available and encouraged, with RV hookups available. Nervous for your ride? Hagerty offers on-track insurance for a low price, so your car AND your mods will be covered. Questions? Visit the Time Trials webpage for more information. We hope to see some of you out there! After all that, there’s the Crows Landing Championship Tour to think about! As of the time of this writing, we’re at 123 drivers registered, and hope to see that number jump in the next few weeks. This season has started off with a bang. Let’s keep that energy going over the next few weeks! Next: Next post: Great job, SFR!